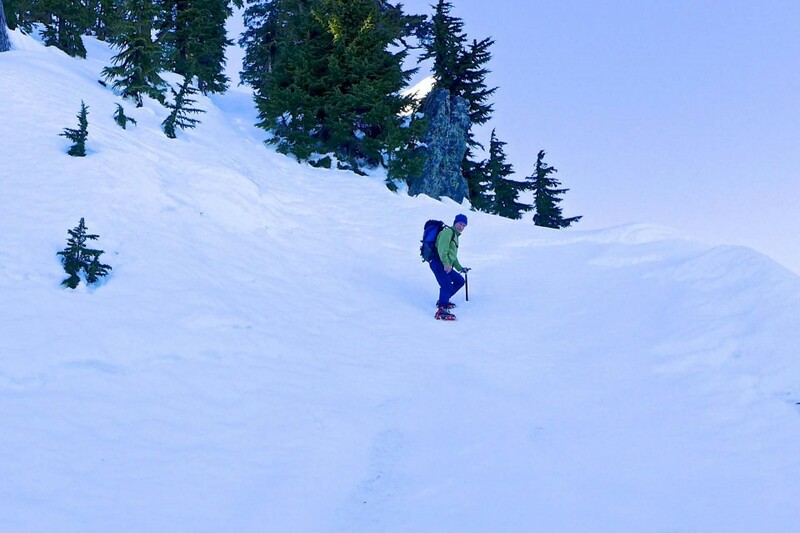 A backcountry skier in the vicinity of Snow Lake divide was badly injured when he slid hundreds of feet down the north side of the ridge towards the south end of Snow Lake, coming to rest in the trees about 100 feet above the lake. According to his skiing partner JPH at nwhikers.net, “he’s pretty banged up, but in the end it was a broken arm, stitches in the face and lots of big bruises – definitely not as bad as originally anticipated.” A more detailed account is in a post on Turns All Year. Fortunately he was wearing a helmet or this could have turned out much worse. 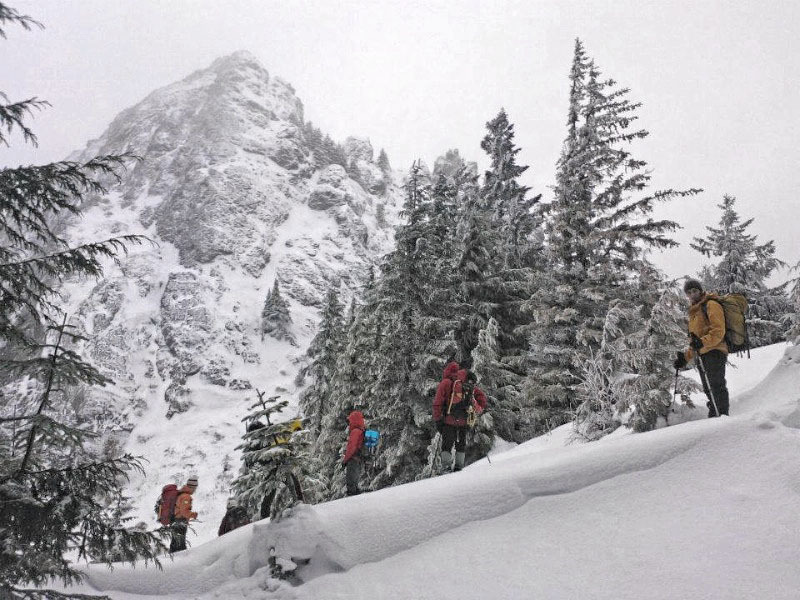 A nearby party of three at Snow Lake saw the accident and came over to help, speeding the call to SAR and avoiding leaving the injured skier alone. King County’s Guardian 2 search and rescue crews hoisted the injured man to safety and transported him to Harborview Medical Center in Seattle. Seattle Mountain Rescue also participated in the rescue. 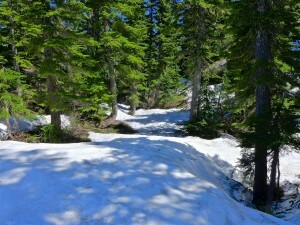 Hikers, climbers and skiers in the Snoqualmie Pass area reported the development of a hard icy crust at relatively low elevations. 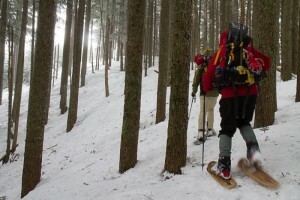 On anything except nearly level ground crampons were necessary for safe travel. The Northwest Avalanche Center issued an unusual non-avalanche hazard alert 3 days before this incident. The party was aware of these conditions and had all the necessary gear along. 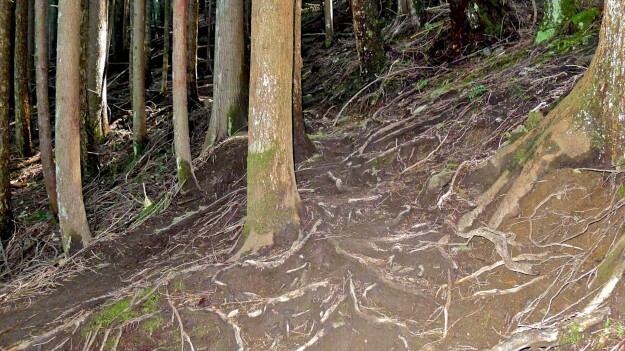 It underscores how unusual these conditions were where what would normally be a minor slip turned into an uncontrolled fall. 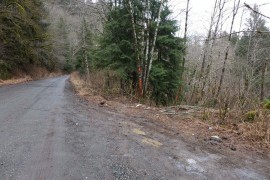 On 13 January a heavy local freezing rain event occurred in the Snoqualmie Pass area above about 4500 feet, covering the surface with about a 2-3 inch ice crust. 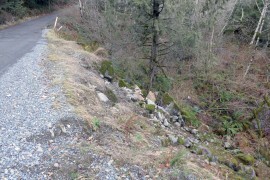 This crust should break down over time but a fall on a slope on this surface could result in a long and dangerous ride! 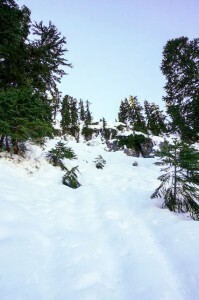 This entry was posted in Snow Lake and tagged SAR on 2014/01/25 by mvanderbilt. 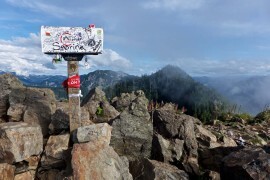 Despite a steep indistinct trail and 4000 feet of gain, Mailbox Peak has become one of the most popular day hikes in the central Cascades. 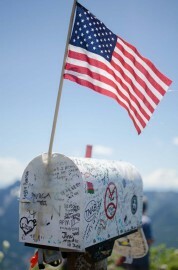 On Sunday, June 30, 2013 over 100 hikers signed the summit register and many who hike the peak regularly don’t bother with that formality. 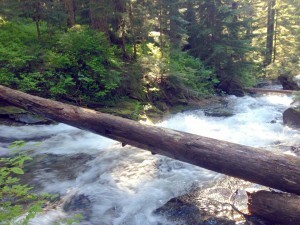 The Day Hiking Snoqualmie Region guide book leads with “Wimpy hikers, turn the page. This trail offers nothing for you but pain and heartbreak”, and yet thousands each year test themselves. Unfortunately some come unprepared, get lost, start too late, or suffer an unfortunate slip and can’t get down before dark or on their own power and that happened a lot in 2013. Stranded hikers enjoy good cell phone coverage on this trail so they generally call 911 and get routed to the King County sheriff’s office who coordinates with Seattle Mountain Rescue to respond. Even if the hikers don’t know exactly where they are, SMR is able to triangulate an approximate location based on cell tower timings. Their records list these missions, and you can bet that lots of others didn’t call them and limped down on their own. Reading these can be useful to help other parties plan better, use caution, and come prepared for a significant effort on a hard trail. April 15, 2013 – At 5:30 pm a hiker injured herself 1 1/2 miles up the trail and was carried down in a litter, reaching the trailhead at 11:30 pm. There was a mix of snow ice and slush on the trail which contributed to the injury and also made it difficult for the rescue team. 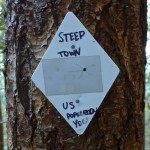 May 3, 2013 – A women injured her ankle while descending and called for help at 5 pm from a spot 2 miles up the trail, then continued walking slowly down. 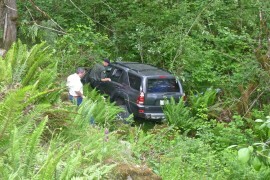 She did not need to be carried and SMR members assisted her down the trail, arriving at 8:30 pm. June 30, 2013 – On a hot day an experienced hiker on a training hike was running down the trail following the white diamond trail markers. Then there were no diamonds. He continued down hoping to intersect the trail lower on the mountain, but he was on the south side heading for the Fire Training Center. There are some old trails on that side but they are faint and one could cross them without even noticing. He called for help at 6 pm and the SMR team was able to find him with the help of a GPS signal from his phone. Ironically, heading in the right direction they were able to make it down to the cars in only 11 minutes. 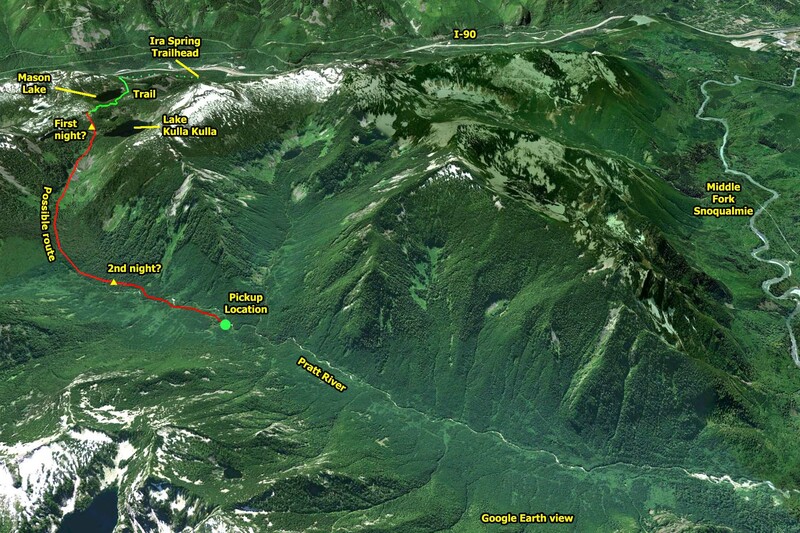 October 5, 2013 – Near dusk, a hiker lost the trail called for help at 7:38 pm. 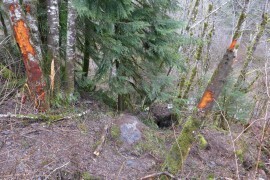 Triangulation placed him just below timberline and south of the trail. This is the hardest area to follow the “trail” because it splits into a myriad of paths down a wide area covered in ruts and roots. There are white diamonds but not that close together and it takes some effort to follow them. 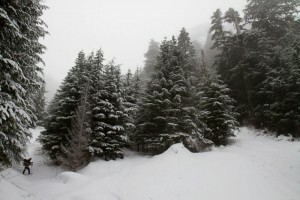 The hiker was instructed to respond when he heard the searcher’s voices or saw light. They reached him at 10:40 pm and got down just before midnight. October 6, 2013 – One day later a similar incident occurred. 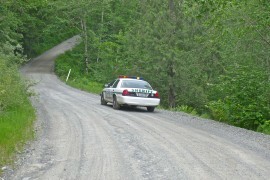 A lost hiker called near dusk at 7:39 pm and was reached by the rescue team at 9:07 pm. The location isn’t specified, but based on the time to descend it was likely near the same confusing spot as the day before. They were down to the parking at at 11:05 pm. October 26, 2013 – Two lost hikers called for help at 8:08 pm, probably after dark. Sadly, they were told by friends to hike Mailbox because it was an “easy beginner’s hike” and that made them think it was ok to start at 1:30 pm. Having lost the trail they ended up making a signal fire at about 1600′, which helped keep them warm and in good spirits. They were reached at 10:30 and got down an hour later. November 24, 2013 – A young couple Googled “Mailbox Washington” for their beta, but found it “was harder than it said!”. That’s a stretch because none of the first few results mince words about how difficult this trail is. They had no flashlights, lost the white diamonds, and ten minutes later called for help at 5:30 pm. Via multiple phone calls they were found at 7:13 and down in only 20 minutes. They didn’t realize the white diamonds are only present on the upper parts of the trail, and without a flashlight couldn’t easily follow the trail down. 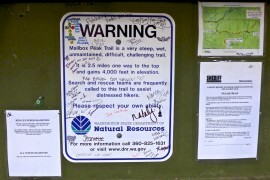 It’s pretty obvious why the DNR, the Sheriff and SMR put up the warning sign at the trailhead, installed the white diamonds, and put in railings at critical points along the trail to keep people on track. Even better will be the new trail currently being constructed by the DNR — look for that to be ready in the fall of 2014. 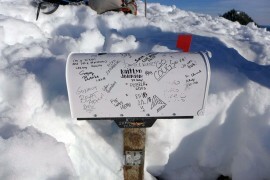 This entry was posted in Mailbox and tagged peakMailbox, SAR on 2013/12/01 by mvanderbilt. 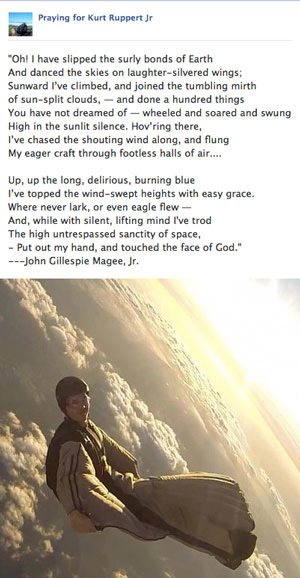 On January 3, 2013 Kurt Ruppert, a Florida wing suit enthusiast, jumped out of a chartered helicopter hovering over Mt Si at 6500′ to begin another of his over 1000 thrilling jumps. It was the last time anyone ever saw him. Two companions jumped just before him and were waiting in the landing zone, but did not see him jump, or see his chute deploy. 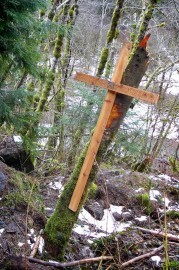 The Mount Si trailheads were closed to function as a base for Search and Rescue operations. 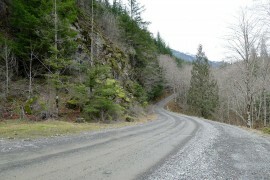 About 145 searchers covered a 9 square mile area on the flanks and cliffs of Mount Si for 4 days before concluding that it was unlikely Kurt had survived, given the cold conditions and lack of contact from him. The story drew national coverage because of the sensational nature of the sport and the suspense over whether Kurt had survived. Messages of grief and condolence convey the tragedy of this accident. SMR February newsletter includes details of the search operation. Lower three photos courtesy of Seattle Mountain Rescue. 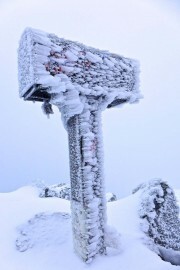 This entry was posted in Si and tagged peakSi, SAR on 2013/01/03 by mvanderbilt.